So, I popped down to Nottingham once again, this time for the Warhammer 40k Open Day. 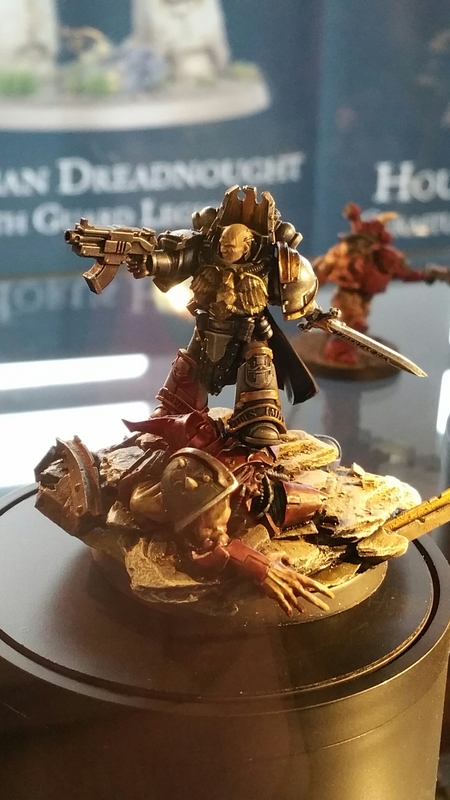 To be honest, it was a bit last minute as I’m only really interested in Horus Heresy gaming, but it would be good to see any new Forgeworld kit. 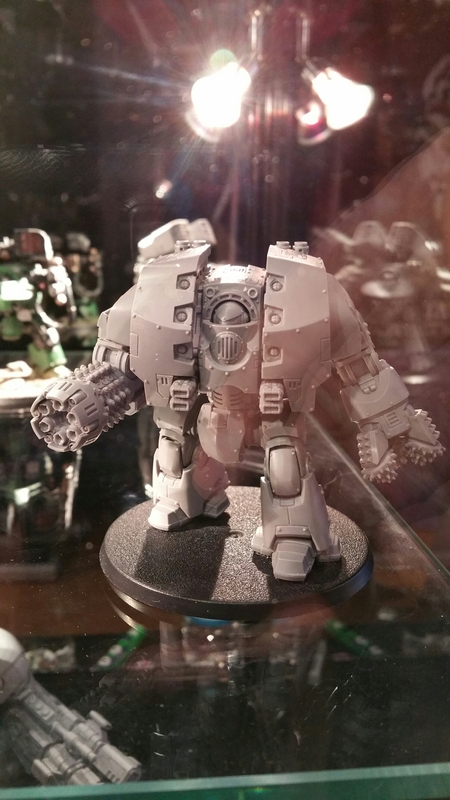 Soon as I got into the Studio area, I was accosted by Paul Rudge from FW and shown the new Leviathan Dreadnought. And what an awesome looking model it is! It just so happened that the sales stand had a couple left when I got there, so it was inevitable I’d walk away with one! This is now in the front of my building que, with updates to follow very soon. The other exciting piece was Nathaniel Garro, the Hand of the Sigillite. Another cracking sculpt from FW and I’ll definitely be adding it to my Imperial Fists once he is released. Previous Previous post: A little comission.